pork cutlets | The Sassy Spoon: Fun Food! So easy, so delicious and made with just a few simple ingredients. 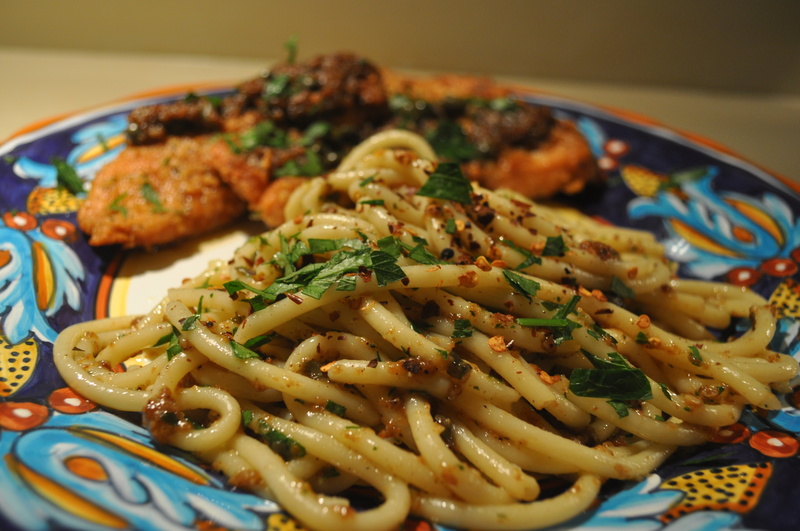 I served it with pasta as the extra sauce goes perfectly with it. We had a salad as a final course. I buy boneless breasts on sale and freeze. I always have lemons and capers on hand. 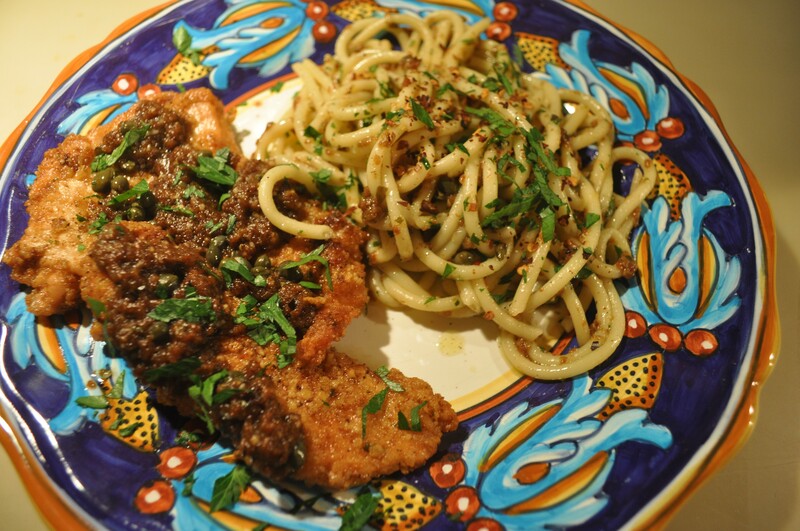 and of course you can do this with veal or pork cutlets too. 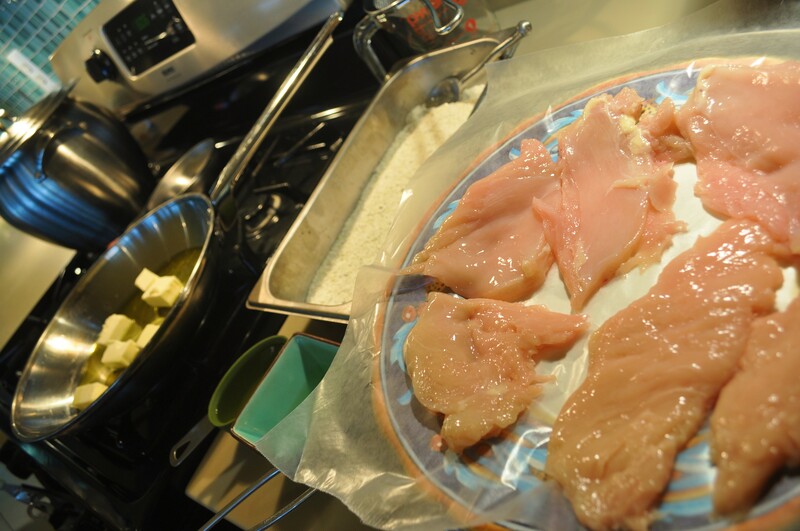 Put the chicken breasts between two pieces of waxed paper and pound them with a meat hammer to about 1/4-inch thickness. Cut them up into pieces a little smaller than the palm of your hand. Put the cheese and a bit of parsley into a mini processor and process till the cheese is about the size of couscous. Mix together flour, salt, peppers, and grated Parmesan. Dredge the chicken in the flour mixture, until well coated. *Note some people like a thicker coating, if you do dredge in plain flour first, then in an egg wash and finally in the cheese and flour mixture. I like mine lightly breaded. Heat olive oil and butter in a large skillet on medium high heat. Add half of the chicken pieces, do not crowd the pan. Brown well on each side, about 3 minutes per side. Remove the chicken from the pan and reserve to an oven proof pan. Place in a warming drawer or a 300 degree oven. Cook the remaining chicken pieces, remove from pan. Keep warm in the oven while you prepare the sauce. On medium/low heat. Add the wine & lemon juice to the pan and stir to deglaze and loosen. 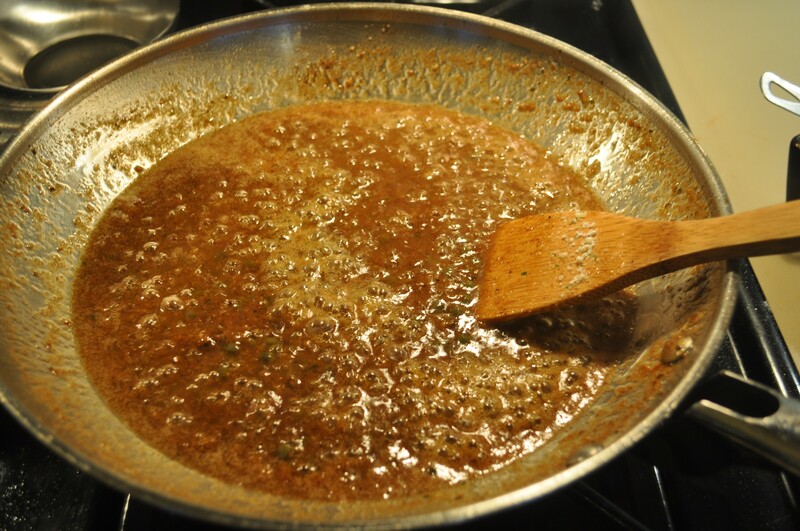 Add capers to the pan. Reduce the sauce by half. 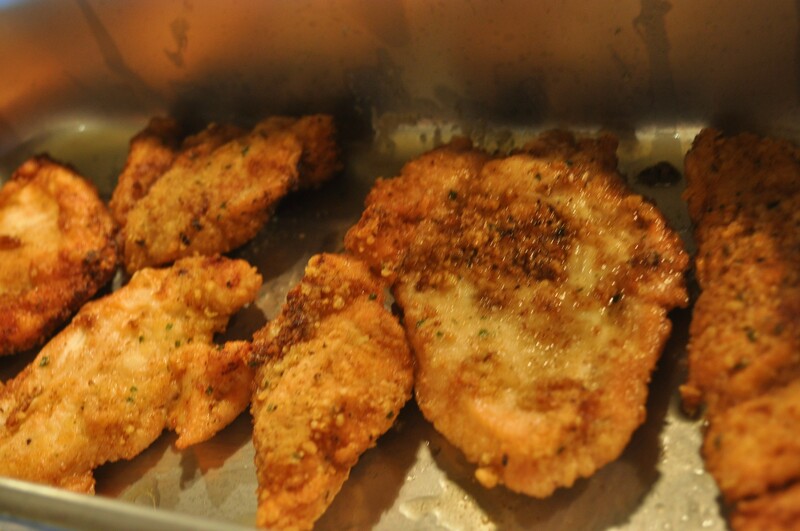 Plate the chicken and serve with the sauce poured over the chicken. Garnish with remaining parsley. Use extra sauce on pasta and toss. If you have left over breading, you can toast it on a silpat and use it as a topping for other things.